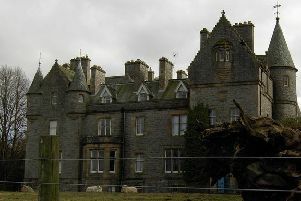 Creetown’s Waverley Hall is to be sold to the community for just £1. Now its owner, Dumfries and Galloway Council, says the buildings is costing nearly £6,000 to maintain and the time has come to find it a new use. A report to Stewartry Area Committee this week said that Creetown Initiative wants to restore the property if it can obtain adequate outside funding, expected by October this year. Louise Matheson, senior manager of the council’s property and architectural services, said: “A local agreement has recently been established between the council and Creetown Initiative where the hall is currently being used to deliver two projects. these are up-cycling and the bike project. “The aspirations to provide a community facility run by the community for youth work, social and community events such as gala week and zumba classes. The original plan had been to grant the money from the sale of the building on the open market to Creetown Initiative.